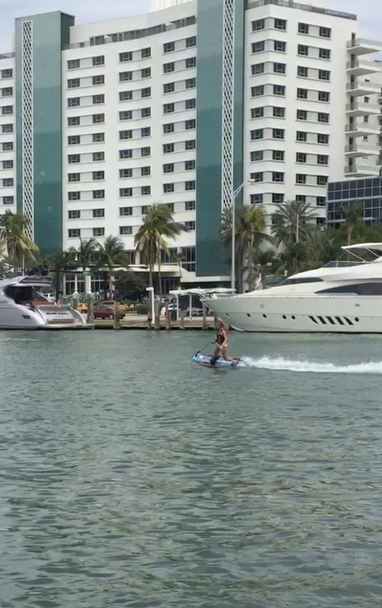 While attending the Miami Yacht Show this year I met the team at JetSurf USA. This innovative product is at the top of the wish list of yacht owners worldwide. in Edgewater is another reason Miami is such a fun city. Services include: Sales of new Jetsurf boards, official Jetsurf training and personal delivery, sales of spare parts and Jetsurf gear, repair shop with full-time mechanic on duty, and much more. Every member of the staff is a professional Jetsurfer and has been instructed with the official training as designed by the factory in Brno, Czech Republic. The staff is knowledgeable and capable of teaching customers everything there is to know about this exciting product.